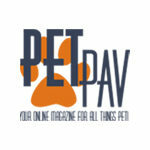 Scratching pad replacements available in sisal, carpet and seagrass. 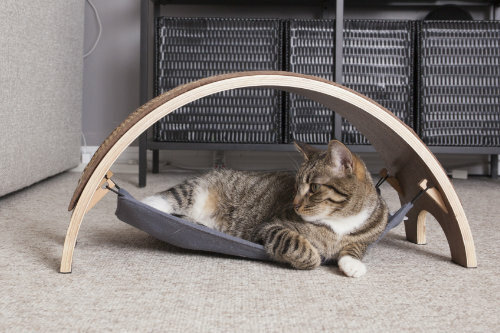 Fun cat hammock and arch-shaped design. 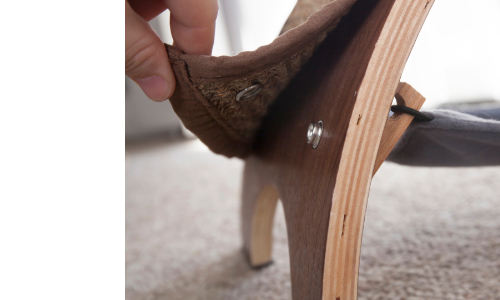 With our innovative ‘QuickSnap’ Replacements, it’s easy to switch out scratching pads at any time! 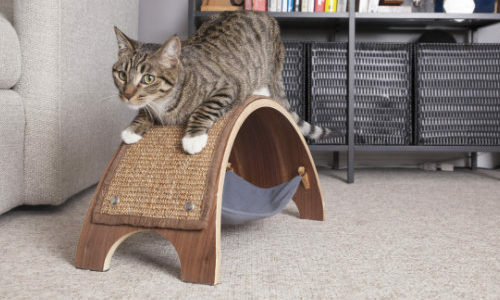 Why buy a ‘normal’ cat scratcher if it will only get destroyed? Easy Replacements. High Quality Materials. Beautiful Design. Enjoy the best of design and function! 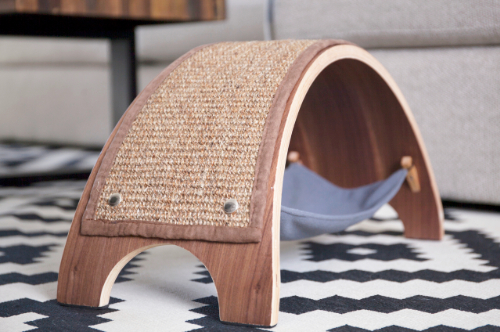 With the QuickSnap Replaceable Cat Scratcher, we combined high-end materials, design, and function – all-in-one! 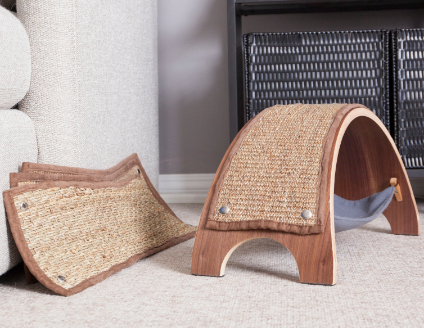 With over half-an-inch of wood thickness – attractive wood finishes – and three (3) interchangeable scratching pads (sisal, carpet, seagrass), the QuickSnap Cat Scratcher is a great fit for any living room and feline companion! 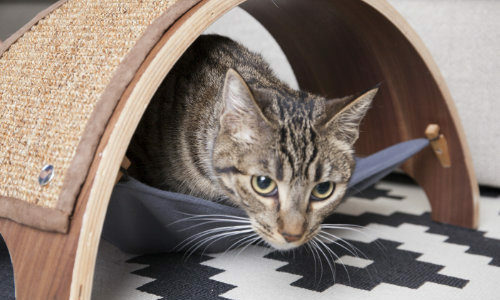 The use of high-quality wood for our scratcher base allows the QuickSnap Replaceable Cat Scratcher to complement any interior aesthetic – unlike the traditional fuzzy pole scratcher. 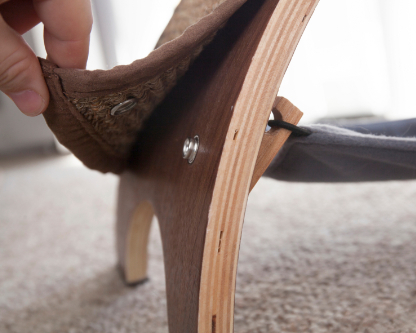 Our all-new QuickSnap feature allows users to simply remove worn-out scratching material and replace it, instead of having to purchase an entirely new scratcher. 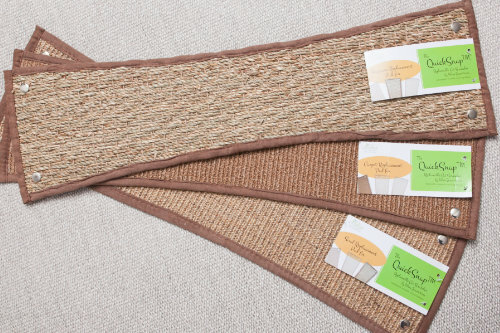 Replacement pads are available in sisal, carpet and seagrass! 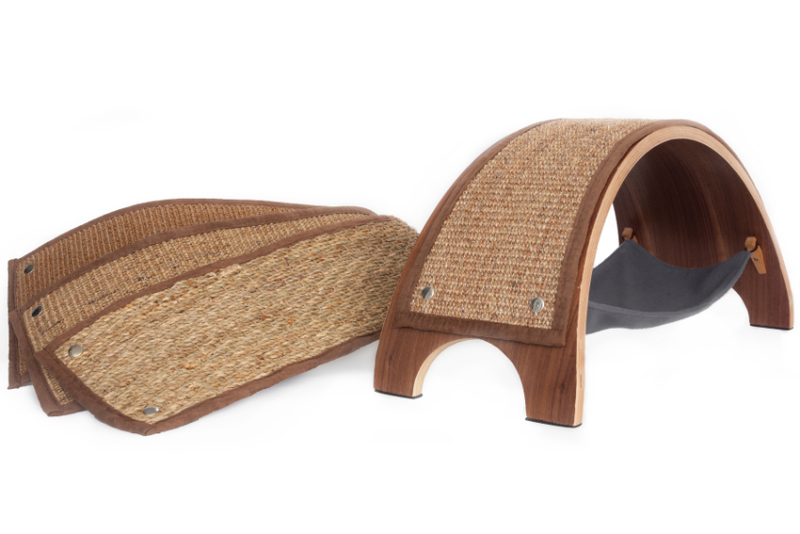 The QuickSnap Replaceable Cat Scratcher is available in two combinations: individually, and as a bundle (scratcher + set of 3 replacement pads). Replacement pads are also sold individually and in a discounted ‘bundled set’! Replacement pads are available in sisal, carpet and seagrass (sold individually). We also offer a discounted replacement set – on a set of 3 pads (consisting of: 1x sisal pad, 1x carpet pad, 1x seagrass pad)! 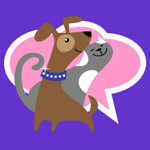 Don’t take our word for it – here’s what people are saying! 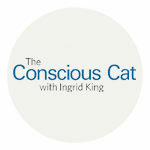 We love hearing from fellow cat lovers! 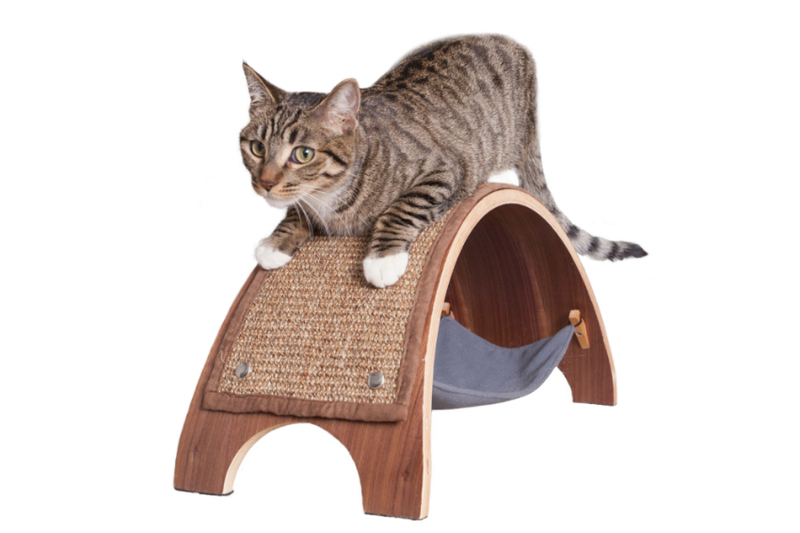 Interested in contacting us, or sharing a pic of your cat using our Scratcher? Send us a message using the form below, or send us a direct email! Which is bigger, 7 or 11?